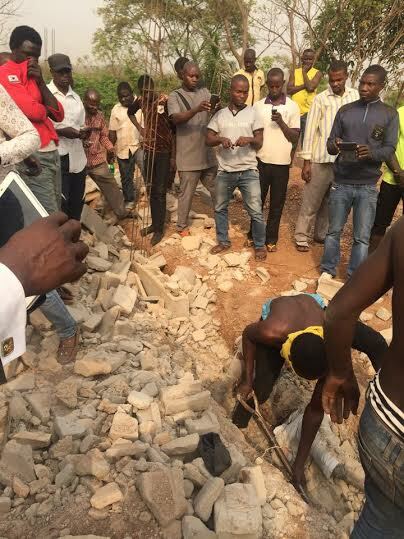 Following the discovery of three decomposed bodies and eight human skulls that were exhumed from a building site at Ugwuaji area of Enugu metropolis last Monday, the Tricycle Riders’ Association, popularly known as “Keke Riders,” yesterday identified three of the victims as their members. The Keke operators gave names of the victims as Babangida Sale, Ashahabu Dauda both from Kano State and Ismahil Abdulahi from Bauchi State. In an exclusive interview with Vanguard, member, CLO governing board, Mr. Danjuma Gambo who was crest-fallen as he spoke, charged security agencies in the state to unravel the owner of the property where the suspected ritual killing took place. ”we are now living in fear especially most of us that patronize Keke operators. The security agencies should rise to the occasion and apprehend the owner of the suspected Church building where the incident occurred. Our investigation from Ugwuaji community showed that it is a communal land that was sold to prospective buyers by members of the community who were beneficiaries.